By now I hope you have realized the futility of "fixing things in the mix". Not only does it take more time to "fix" things, but in the end everyone loses. The artist you may represent (even if it's yourself), the listener, your mom... (that is if she listens to your work) Everyone will be subjected to the an over processed audio nightmare! Getting a great take, from a great artist, who gave a great performance, without taking a great deal of time to set up mics and position them properly is like playing Russian roulette. You may get a good take by just throwing up a mic where you think it should go, but you may not also. You may be able to even get it sounding decent after an hour of grueling work and 133 plug-ins. However, what if when you got that amazing take, and incorporated it into the mix later, you thought "Hey that actually sounds pretty good the way it is!" What if, after saying that, instead of struggling to find the right plug-in to make it sound good, you were struggling to find a plug-in at all to even put on it in the first place. 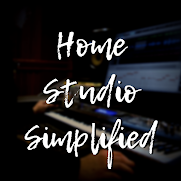 Now, I know that in today's world of gear crazy, plug-in happy, home studios, this seems like some Utopia that is not attainable without the latest Wave's deal or that "Stupid Deal of the Day". Yet, in all actuality it is possible! 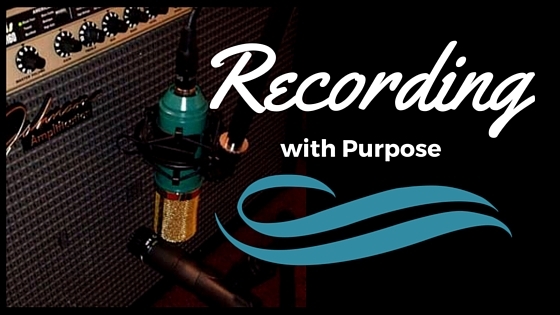 All it takes is some time to record with purpose. First you have to decide for yourself what is the purpose of the instrument/s you're recording? Are they supportive, or are they the leading elements that make up the song? Do they need a certain sound or tone to set well? Think about it as if you were recording it into your DAW without any hope of ever changing it again. Does the electric guitar need to be brighter to even out the low-mids that are panned hard left from an acoustic part? Maybe it needs to be darker to even out the hype from the keys? The best way to know for certain is to hear it as it is being recorded in real time. Break out the ol' headphones and crank up the monitoring level so you can clearly hear what that mic is doing to the sound. Small movements from a mic can dramatically effect the tone of something so move it around quickly until you get in the ballpark of what your looking for and then slow way down, moving it only by inches one way or another. Once you got that sweet spot, remember where you had and mark it in some way if you can. (Tape, sharpie, chalk, etc. use your better judgment as to which would work best) That way you can get back to that tone again if you should need to redo a riff or overdub. Ultimately, you want to be thinking about the end result. What would you want it to sound like when it's all said and done? By taking this little bit of extra time up front and getting just the right sound going in, you will save a ton of time, CPU, and hair when it comes to mixing. I am starting a series on the YouTube channel where I am going to be covering this and other things related as I work through a song step by step from idea to finished product, follow along with me and make something of your own as well! When its all said and done, I'd love to hear what you got! Until next time, go make some music!